Addable data collection and remote control&monitoring system,the price was estimated price, may adjust with differ place. Note: the specifications are obtained under the Standard Test Condition (STC): 1,000W/m², Am 1.5, Cell Temperature 25℃ !! 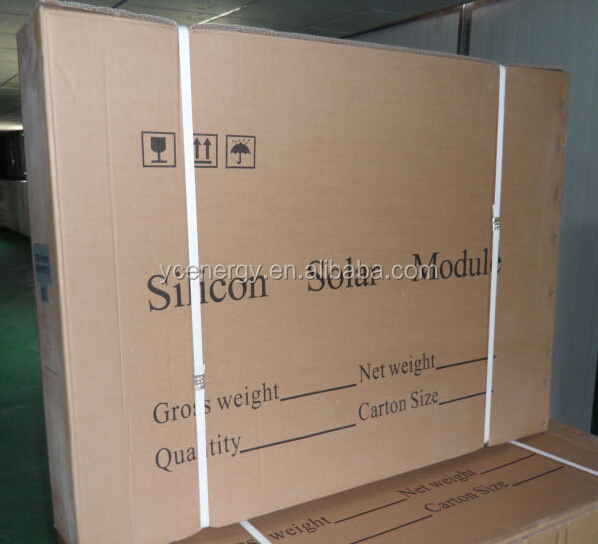 Each panel with one single caton,and then 10pcs/5pcs with one outer carton,finally use wooden pallets to pack the cartons. Yunnan Yaochuang Energy Development Co., Ltd. locates in Kunming, Yunnan, China. 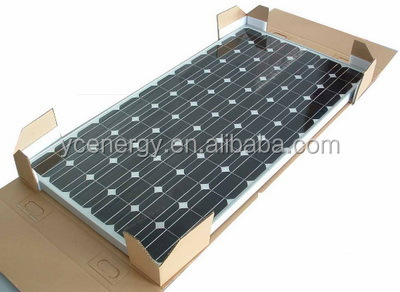 It is a subsidiary of Shanghai XIHE Solar Co., Ltd, a trade & Industry integrated production-oriented enterprise. YC Solar specializes in solar system research & developing, producing & marketing. We produce solar panels ranging from 5w to 310w mono & poly crystalline solar modules, and keep growing production ability from 200MW/Y at present. 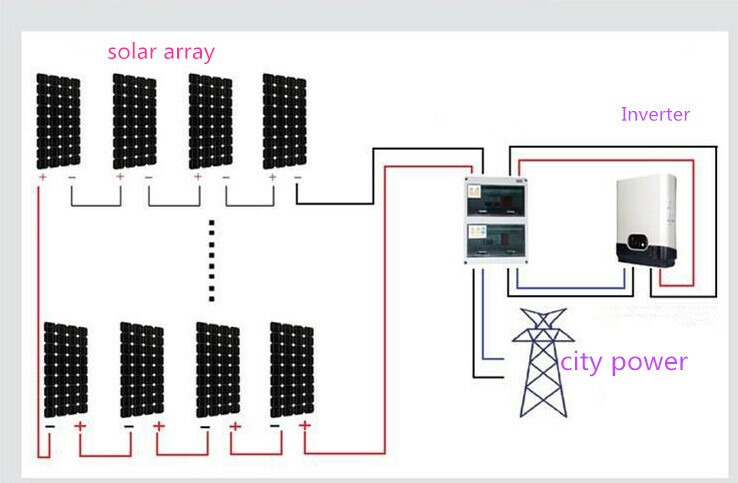 Solar generator system, solar water pump system, solar street lamp system, solar & wind hybrid system we supplied are welcomed throughout America, Australia, Europe, Africa, Asia. Shanghai is one of largest port in China, it ensures our products can be sent out to over world timely & safe. Yunnan is near by 9 states in Southeast Asia, unique geographical advantages make international trade more convenient. Sincerely hope we can be your long-term cooperator, and both of us get more flourishing future. We are a trading company attach to SHANGHAI XIHE ENERGY TECHNOLOGY CO.,LTD. which is manufacturer, has own production workshop. 2. Why choose to order from your company? The products we offer is factory competitive price, TUV, IEC, CE, ISO, RoHS, VDE, UL certificated quality. From factory to you directly, no resale. 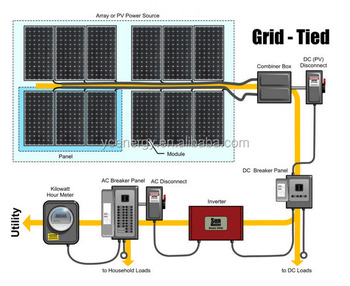 Over 10 years solar energy development experience, professional engineers give you suggestion. 3. Can I get some discount? Of course, if your order is large enough, or you are a regular repeat order client, we surely try our best to offer you some discount. 4. What is shipping method? 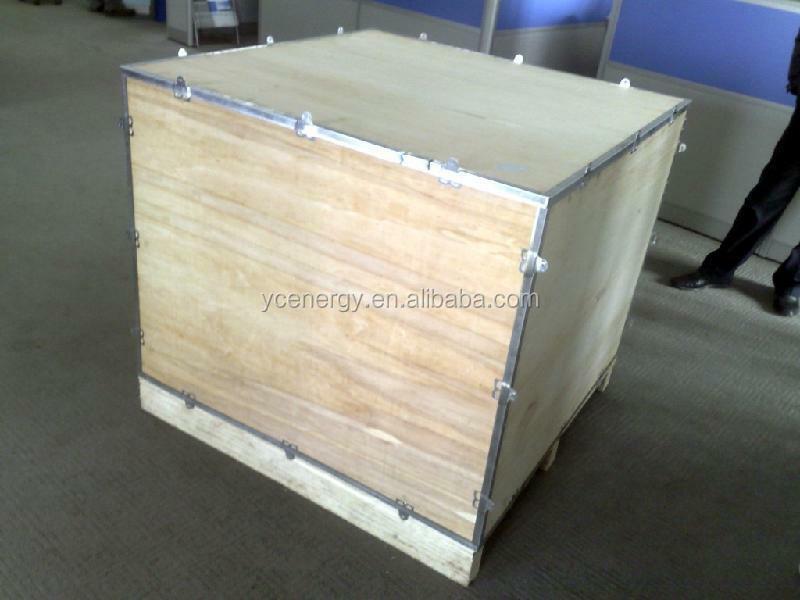 Air express for sample order, ocean shipping for bulk order. 5. How to pay for it? T/T, L/C, Paypal, Western Union payments are acceptable, you can choose a convenient one. 6. How should I order it? Firstly, you can contact us via trademanager or email to inform what products you need; Secondly, we will quote the best price according to your demand; If you accept the offer, the products will be prepared once getting 50% deposit; Then arranging shipping when getting balance payment; Finally, you can wait for delivery.